Via the White House Flickr photostream come photos of President Obama's buzzed-about dinner with tech leaders Thursday evening. 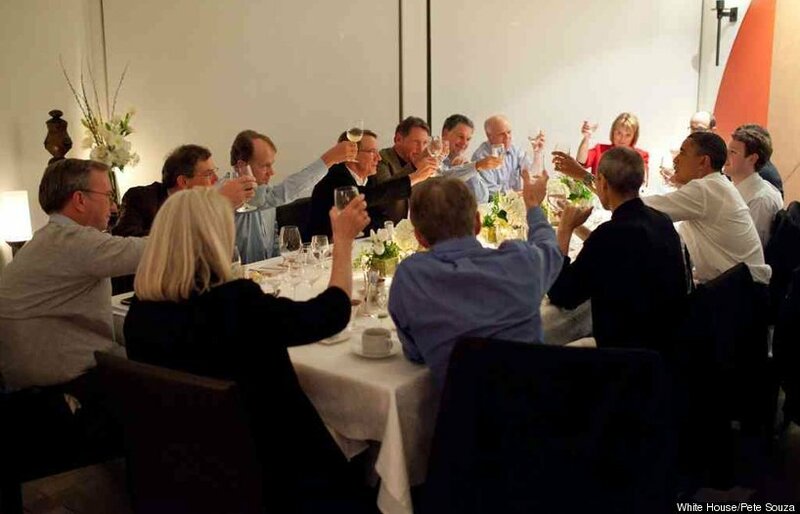 One photo of the dinner offers a glimpse into the seating arrangement for the evening, as well as of Jobs, who is currently on medical leave. 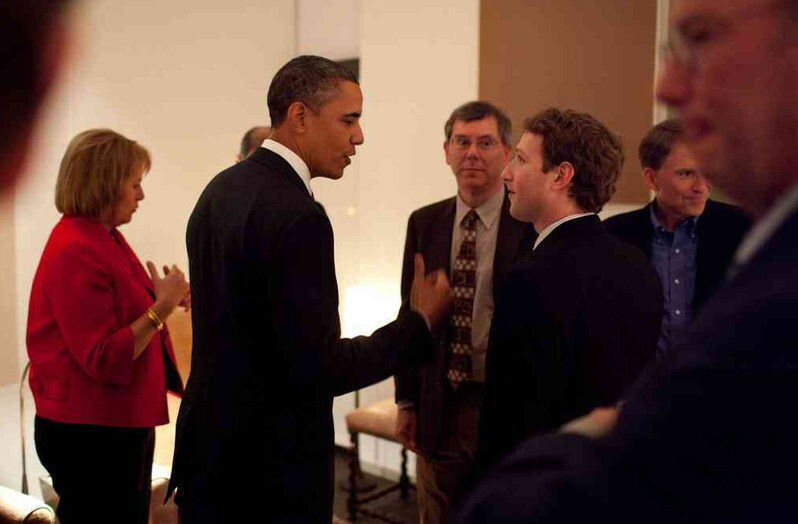 Notably, Jobs and Zuckerberg were seated directly to Obama's left and right, respectively. Jobs donned his trademark black turtleneck, while others in attendance opted for suits and ties. A White House official described the meeting as "part of our ongoing dialogue with the business community on how we can work together to win the future, strengthen our economy, support entrepreneurship, increasing our exports, and get the American people back to work," noting prior to the event, "The President and the business leaders will discuss our shared goal of promoting American innovation, and discuss his commitment to new investments in research and development, education and clean energy." See the photos below, followed by the guest list.